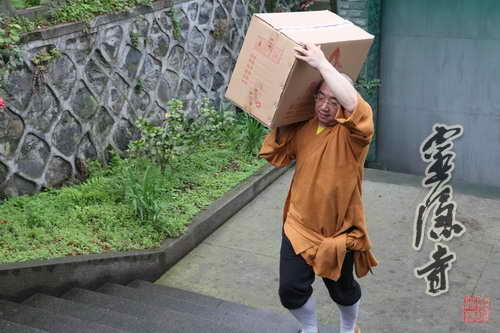 It is a fine tradition of Buddhism to respect and to care for the elderly. The Buddha himself had demonstrated his mercy by threading the needle for an elderly Bhikshu. 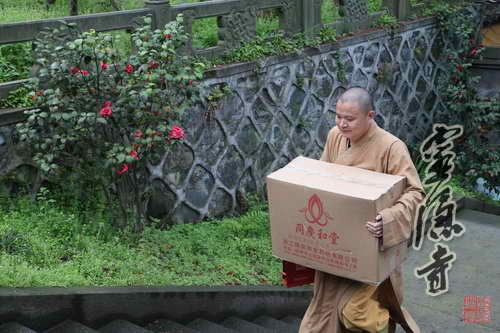 To further extend such tradition and to spread the spirit of mercy and gratitude that Buddhism promotes, venerables from Hangzhou Yunlin Trust and Yunlin Foundation, together with volunteers from Yunlin Volunteer Group, gathered spontaneously for a visit to the Faxi Temple in Upper Sindhu, where they greeted the elderly Venerable in residence with bags of rice and barrels of soya-bean oil. The visitors were welcomed at the reception room by Venerable Nianyong, Head of the Hospice, who briefly introduced to them the life of the elderly venerables at the Hospice. 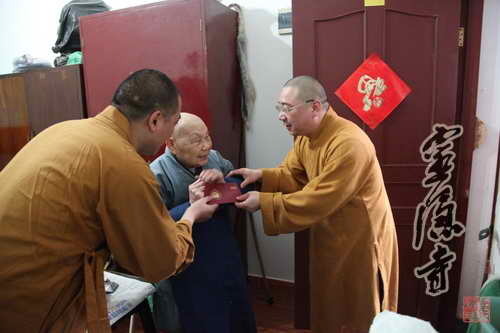 Everyone then visited the elderly Venerables in their rooms, inquiring them about their health and welfare, so that the elderly Venerables continue to feel the care and gratitude from Lingyin Sangha and lay believers even in their peaceful senectitude. The venerables were very pleased to see their visitors, whom they later saw off at the doorstep with great reluctance. 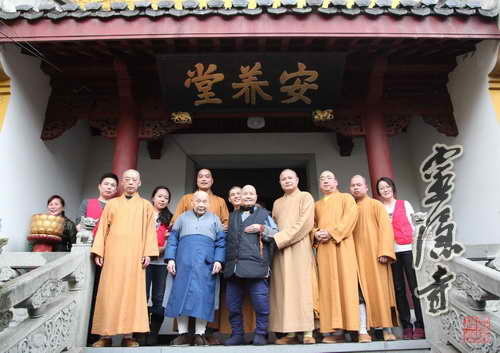 It has been a long-standing practice in Lingyin Temple to care for and to express gratitude to the elderly Venerable Masters, who are visited at the Hospice at least once every quarter by members of the Hangzhou Yunlin Trust and Hangzhou Yunlin Merit Charitable Foundation.